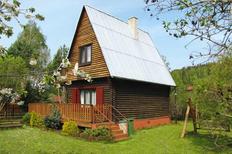 A holiday house in Poland costs on average GBP 441 in the cheap travel period and GBP 866 in the peak season per week. These details are of course in relation to the house and not per person as well as includes the obligatory additional charges. 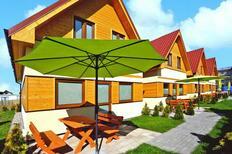 atraveo offers you more than 2,500 holiday apartments and houses in Poland. In the last years this country has become a popular travel destination and next to great holiday homes, beautiful nature, lovely worth seeing cities and a diverse cultural landscape the great price performance ratio has become equally appealing. 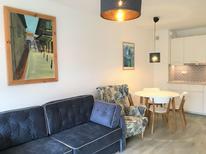 You are able to find lovely furnished holiday homes along the Polish Baltic Coast that for example are available for much less money that comparable objects in other European countries. 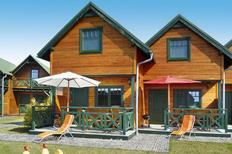 Go and search for your dream holiday home in beautiful Poland. The Polish Baltic Coast is a very popular holiday home destination in Poland that stretches out across 500 kilometres from Świnoujście to Vistula Lagoon. The seemingly never ending beaches, a lovely and diverse natural landscape behind the coast as well as many beautiful small towns provide for ideal holiday conditions. Even in the peak season the beaches are seldom overcrowded so that relaxation and peace are guaranteed. 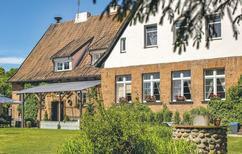 A coastal vacation along the Baltic Sea is also ideal for a family holiday. With the right holiday house that has an own garden and also a swing as well as slide will ensure the children will have a lot of fun when not at the beach. 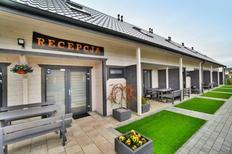 Find your next accommodation for a great vacation along the Polish Baltic Sea coast like for example in the Bay of Pomerania, Gdańsk Bay, at Vistula Lagoon or Polnish part of Usedom. Culture enthusiasts will also find Poland to their liking. Polish cities have an array of sights and attractions on offer which make them ideal for a day trip or two. The old centre of Warsaw is for example a UNESCO World Heritage Site and around the palace you will find a number of well preserved historical monuments as well as some interesting museums. The traditional university town of Krakow is regarded as the secret capital of Poland with the Wawel where the Royal Castle is located. 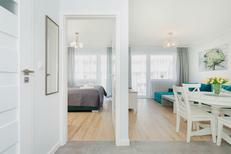 It also lures with a colourful artist community and many rustic basement bars. Also worth visiting is the former Hanseatic city Gdansk in the Vistula region and Lódź that offers a diverse cultural landscape. Further interesting towns also not to be forgotten are Wrocław, Poznań and Szczecin. In most parts Poland is characterised by a natural landscape that a remained virtually unchanged and it is the perfect place to spend a relaxing vacation as well as enjoy an array of activities. In some eastern parts of the country such as the Carpathians you are even able to find real untouched primeval forests which are partly home to wolves and moose. The lovely nature is waiting to be discovered either on a lovely cycling tour or hiking trip. 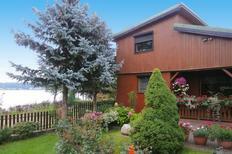 Equally beautiful regions are the Masurian Lake District, Kashubian region or Silesia. In the south of Poland in the border region with Slovakia and Czech Republic the towering mountains of the Beskids, Tatra, Sudetes and Krkonoše (also referred to as Giant Mountains) offer lots of room for active recreation. Next to interesting trips up to the mountains and the chance of climbing tour you can enjoy a great skiing vacation here. A very popular destination is for example renowned ski region Zakopane.